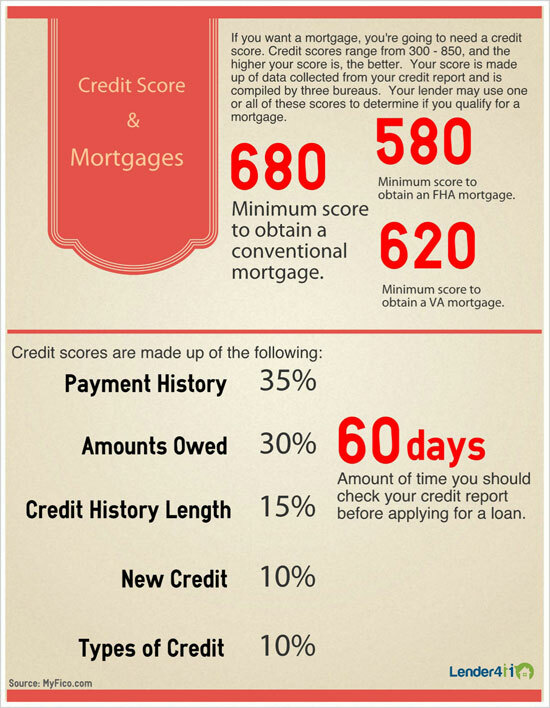 This infographic illustrates credit scores and their affect on obtaining your preferred mortgage loan. The credit score is divided in to payment history, amount owed, credit history, new credit and the types of credit. Before applying for a loan, be sure to check your credit 60 days ahead of time.